Now to pull up the heat a bit more, they have decided to organise once more the Belgian T(T) on 23th, 24th & 25th of August 2019 ! 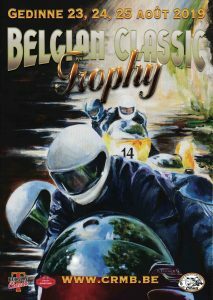 We’d like you to know that the races are open to all pre 1972 motorcycles and that you can take a one-off licence for this event, so there’s no excuse not to come and join us in the most beautiful race of the year at the most beautiful Belgian racetrack . Celebrating its 20th anniversary in 2006 and under heavy lobbying of Miguël Parrent (former club Secretary) the CRMB decides to organise a race for the Belgian Classic Bike Championship and for the CRMB Challenge. 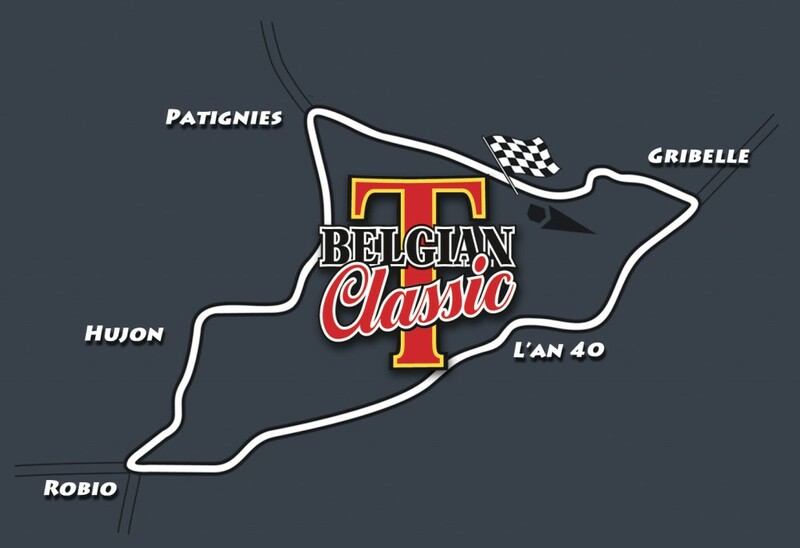 Its name, “Belgian Classic T”, refers to the nickname given to the Gedinne racetrack in the early 70-ies and 80-ies (the Belgian TT) which on his turn refers to the famous races on the Ile of Man. It’s a natural road track, first used for racing purposes in 1947, and very much beloved by all the pilots (in particular the UK ones) because it is, literarily in any possible way, made for the classic motorcycle. The Gedinne racetrack measures 5063 meters in length (approx. 3.15 miles) and has an overall width of 7,20 meters (approx. 7.8 yards). It counts 22 turns and one chicane, and though there is not one straight line over 200 meters of length (approx. 219 yards) the racetrack is considered to be a fast one. Its capacity is of 42 motorcycles and 26 side-cars. This is a racetrack with tons of fun where clean passing still is possible.